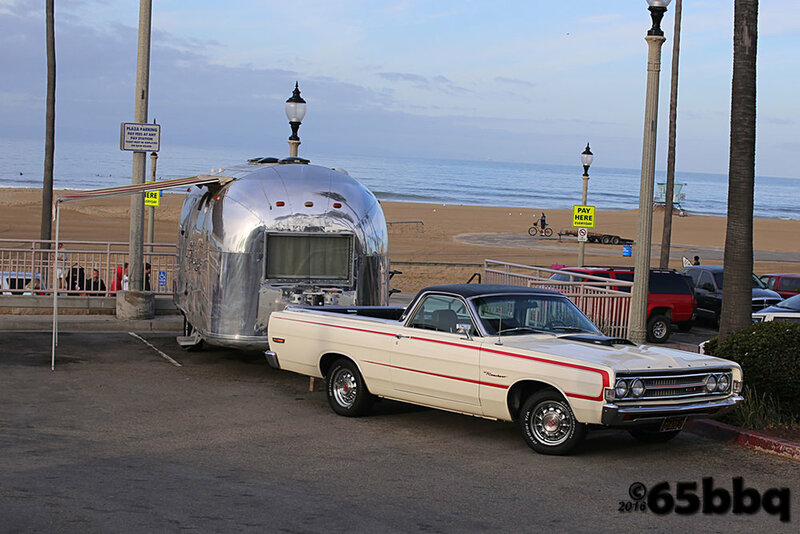 Taking the Ranchero and the Blue Q to the Huntington Beach Beachcruisers Meet was a lot of fun. The interaction with other car enthusiast, the car show organizers, and best of all the people who came up to take a look at our rig made it worth the drive. This car show is the best of the best, how they pick a best in show has to be difficult. Sad to say there was no trophy for best bbq. We do not get to take the trailer to every car show. The Fabulous Fords Forever is coming up and the bbq has to stay home but it does have one advantage the elusive Ford Ranchero shows up in force. With this said, the two beauties that took the time to showcase their beach cruisers at the 2018 Beachcruisers Meet will take you to the Gallery, just click the pics. Thanks to all the organizers of the Beachcruisers Meet it was a perfect day. Photographing car shows is always a pleasant adventure. 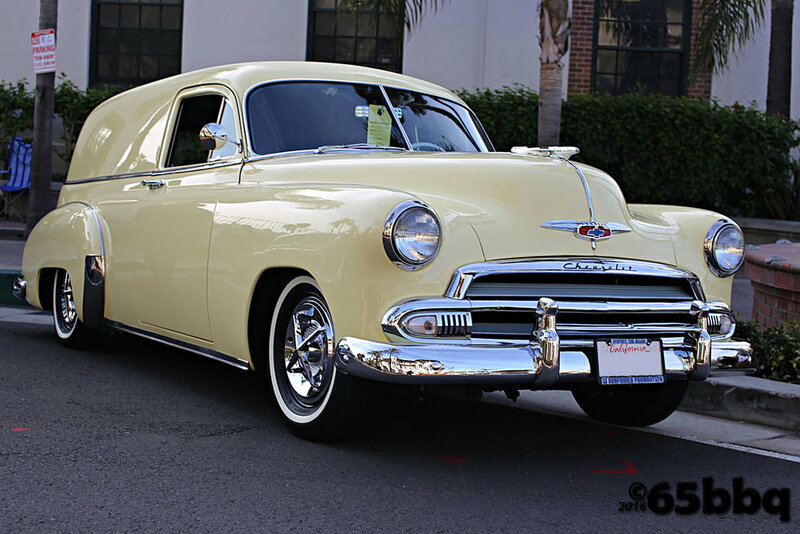 You meet a lot of people who love the comradery of getting together with one common cause, classic cars. Thanks for making it easy to get the shot. Special Shot Out: The Longboard Restaurant in Huntington Beach, the oldest building still standing, 1904. Everyone wants to know about the Q how it came to be, find out more about The Ranchero and the Blue Q and the history of the ride. Don't forget we send extra pics every now and then through our newsletter. car-tografi is all about the parts. 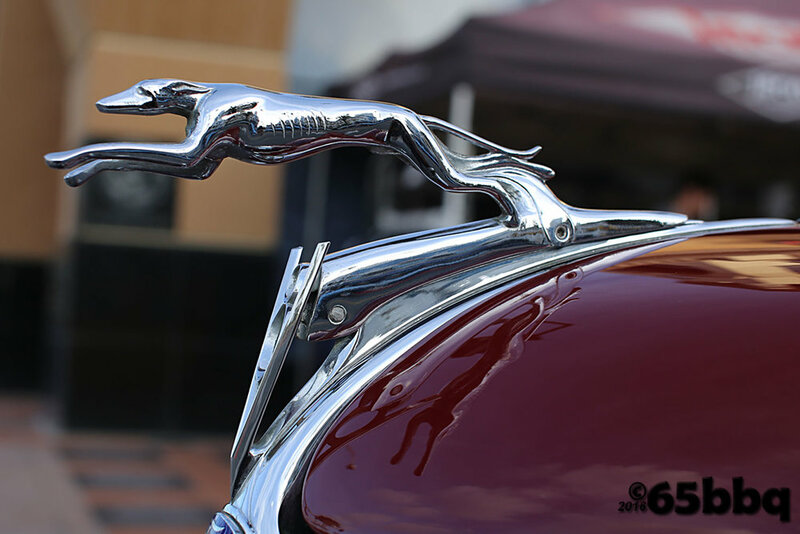 Find hood mascots, flying ladies, pinstriping details. and information on the NHRA and the Nethercutt Museums.